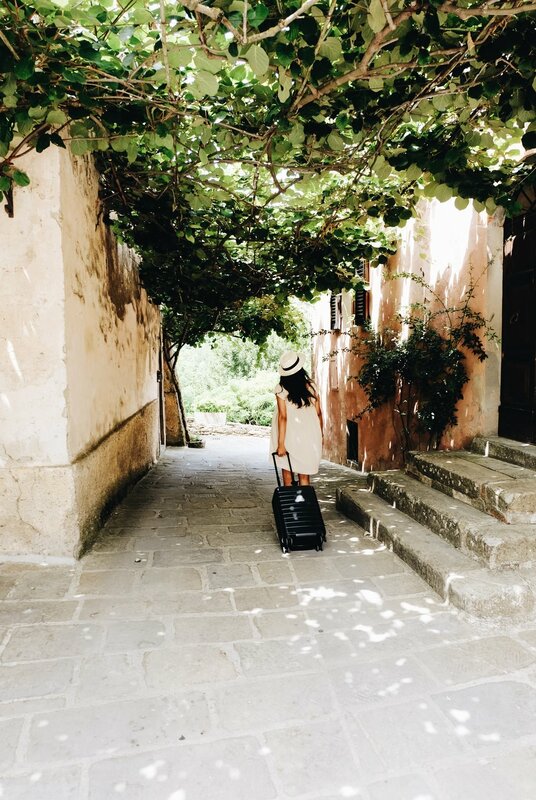 We wavered about Tuscany as a Babymoon destination; it's a considerable distance from California and at 7 months pregnant, I was uncomfortable, pretty much always. Plus. without cheese and wine, what's a trip to Europe? Turns out, incredible. L'Andana Badiola is a short distance from Rome, making it the perfect starting off point. 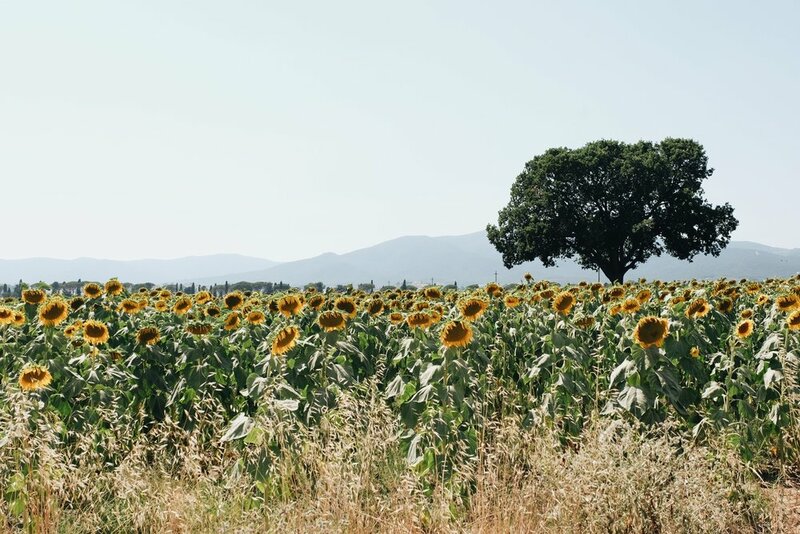 Set amongst the olive groves and sunflower fields just outside the ancient seaside of Castiglione della Pescaia town, this former villa has been converted into a stunning hotel. Rooms are well appointed with large bathrooms and views of the rolling hills. 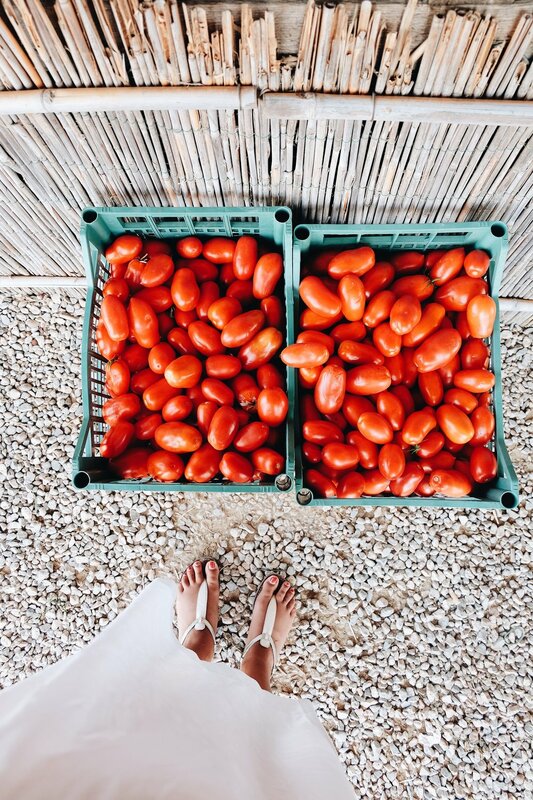 By day, guests can take cooking lessons on property under the watchful eye of Michelin starred chefs, or venture out for a day at a nearby beach. Castello Banfi il Borgo is a former 1700's hamlet in Montalcino with a working vineyard (guests can indulge in complimentary wine tastings at the enoteca) and on-site museum housed in the castle, complete with an original Picasso. Lazy days spent by the magnificent lap pool end with aperitivo and breathtaking sunsets. 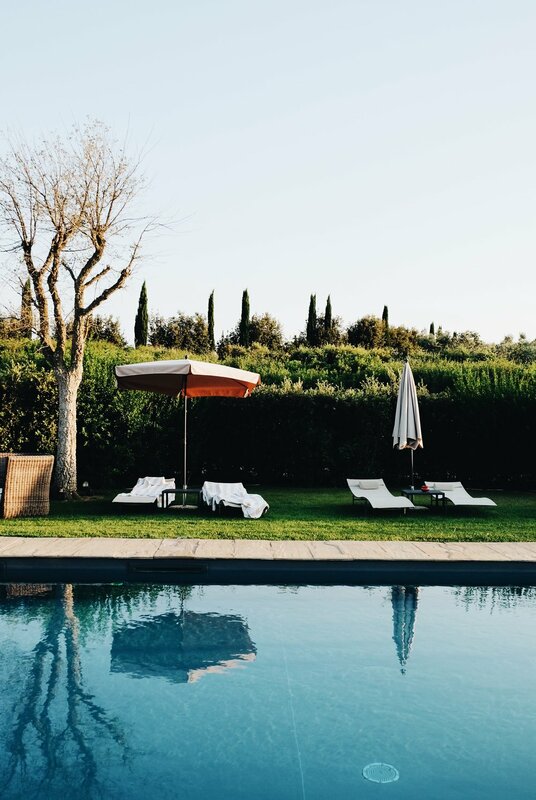 Locanda Rossa feels a lot like staying at your very chic friends farmhouse in the Tuscan countryside. Rooms are decorated in a more modern, spare style with an open air "living room" overlooking a generous pool (a must for those sweltering summer afternoons). Guests can also motor to a nearby beach (5 minutes by car, 4 minutes by Vespa) if the pool gets too crowded, though with only a handful of rooms, it won't. The on-site restaurant is small, but delicious. Il Borro, owned by the Ferragamo family, is a restored medieval Italian village set on a 700 hectare estate. Suites are beautifully appointed overlooking the piazza. The pool and spa are stunning. 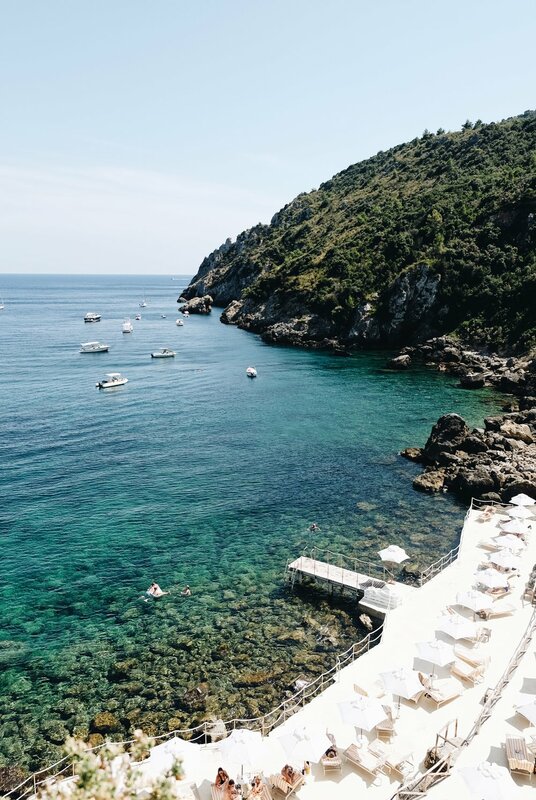 Hotel il Pellicano is a legendary hotel from the Slim Aarons era. It's a splurge and out of the way, but worth it for a special trip or if you're looking for privacy. If you can't swing a stay, stop by for lunch or a sunset cocktail. After a detour through dusty farm roads, and a traffic jam with a herd of sheep, we arrived at La Chiusa just outside of Montepulciano. The restaurant (which doubles as an inn) is perched high on a hilltop overlooking the rolling hills and vineyards below. We were greeted by the owner (also the chef), given a quick tour of the kitchen, then whisked away to our al fresco table. Service here is impeccable, as are the porcini mushrooms, foraged from a neighbors plot and sauteed simply with white wine and garlic. Rosso e Vino alla Dogana is a sun drenched open air beachfront restaurant littered with impossibly good-looking Italians lingering over big bowls of pasta. After lunch, plan to spend the rest of the afternoon napping on a sun lounger; the beach here is fantastic. La Vela in Punta Ala offers a beautiful beach view with their excellent pizzas. Encanto White is perfect for a casual beach lunch of fritto misto. Get an Aperol Spritz during their happy hour. Il Frantonio is a charming restaurant inland with a gorgeous courtyard space for dining al fresco. The Maremma beef is outstanding and not to be missed. Fiumara Beach Restaurant is great for dinner on the beach. Tables are set up under palapas where diners feast on steamed lobster. To properly do this trip, you'll need a car. Renting a car from Rome's international airport is your best bet.